The brand name Citizen itself was coined to be “close to the hearts of people everywhere”. Wearing a Citizen watch is about pride. The Citizen Eco Drive CB0011-51L Men’s Watch is one of the best timepieces that make you feel more proud in front of others. It has features like Stainless Steel case and Bracelet. 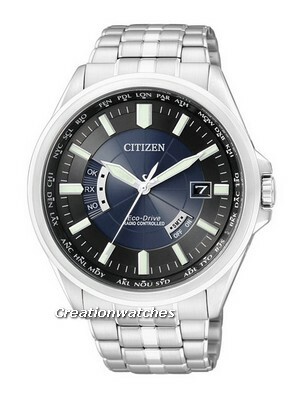 This Citizen Mens watch is a Japanese watch which is most popular. The watch is also having a feature of scratch resistant Sapphire Glass onto its dial. The working caliber of this watch is H140. This Citizen Mens Watch is the best timepiece that makes you feel wonderful every time you wear it. One of the best and useful qualities of this Citizenwatch is that it is an Eco-Drive Watch. This eco-drive Citizen watch runs on any natural or artificial light for an entire lifetime of usage. It is an ecological friendly solar power watch. This Citizen Eco-drive Men’s Watch has the smart and cool blue dial. The dial is also featured with many functions like World time in 26 cities, Perpetual Calendar, Date Display and UTC (Universal Time Coordinated). As the watch is Eco-Drive, so it has other useful functions related to power are Overcharge Prevention Function, Power Reserve Indicator, and Power Saving Function. This citizen Men’s Watch is a waterproof timepiece. The water resistant is up to 10 bar. The size of the case is 44mm. This Citizen Eco Watch is really a tough and stylish watch. You really can’t go wrong with this wrist watch. 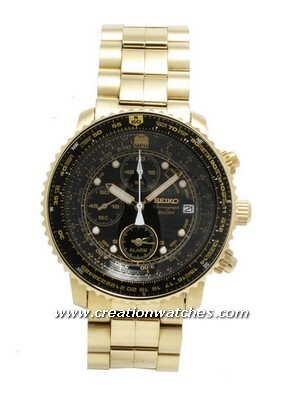 This watch is available for US $290.00 with us. Newsletter: 10% discount coupon for Seiko Perpetual Calendar Watches! Newsletter : Seiko Solar Chronograph Leather Strap watch on Sale!